F25: This midrange workhorse offers responsive power and solid fuel efficiency in a compact package. It features smart engineering conveniences, like the new Nitro Assist Tilt for effortless tilt on both electric and manual start tiller models, and our PrimeStart™ system, for reliable, turnkey starts in hot or cold conditions. 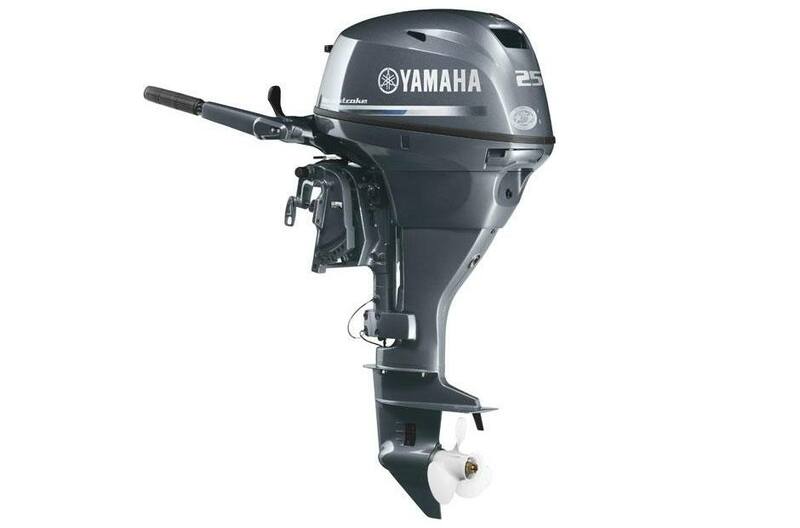 Available with a 20-inch shaft (standard on all Yamaha midranges), or a 15-inch shaft for skinnier water, it’s great for skiffs, jons, inflatables and flats boats. Shaft Length: L: 20 in. Degree of Tilt: Manual: Up to 73 deg. w/ 2-position Shallow Water Drive. PTT or Nitro Assist: Up to 73 deg. Degree of Trim: Manual : 5 Tilt Pin Positions Nitro Assist: 5 Tilt Pin Positions PTT: -3 deg. through +16 deg.